BP has gained another extension from Cue Energy Resources to decide if the supermajor wants to acquire stake in the Ironbark prospect offshore Western Australia. BP subsidiary BP Developments Australia has already been given several extensions on whether to take 42.5% stake in Ironbark; the last of which was set to expire later this month on 25 October. The new extended deadline is 11 December 2017. 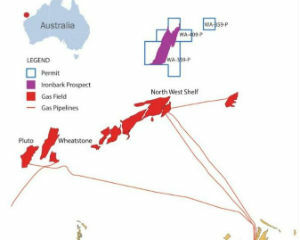 Ironbark is next to BP’s operated WA-409-B permit, less than 50km from the North Rankin platform (North West Shelf LNG) and near the Pluto and Wheatstone LNG infrastructure, which Cue says provides cost effective commercialization options. The Ironbark prospect is a giant Mungaroo Formation prospect that is mapped with an area of up to 400sq km with a best technical estimate of 15 Tcf of prospective recoverable gas resource based on an internal technical assessment performed by Cue Energy. Wood Mackenzie estimates that the North West Shelf LNG plant and infrastructure will have spare capacity from 2021.